Keeping the peace in a tank full of aggressive fish can be tricky but smart aquascaping can help to diffuse the tension. 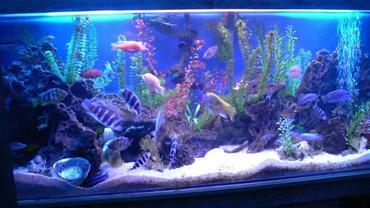 When it comes to stocking your aquarium, you have a wide selection of different fish to choose from. Before you rush out and buy any fish, however, you should take the time to learn the basics about tropical fish compatibility. In addition to being divided by their native habitat and their feeding habits, tropical fish can also be sorted by their level of aggression. Community fish are generally peaceful and docile species that get along in large groups with other fish. 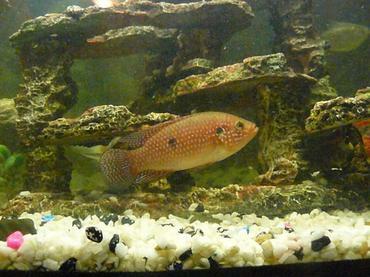 Semi-aggressive fish can sometimes be kept in community tanks or with other semi-aggressive species as long as the tank is large enough and there is only one male per species. 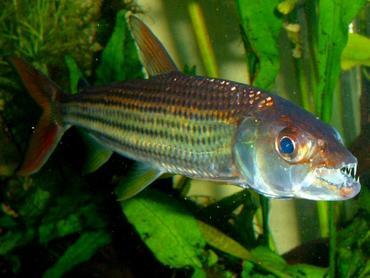 Aggressive fish are a whole separate matter – many of them need to be kept in single-species tanks or they cannot be kept with other fish at all. If you have your heart set on cultivating an aggressive fish tank, think carefully about how you are going to stock and arrange your tank to minimize problems. You may be surprised to see how big a difference something as simple as decorating your tank thoughtfully can make when keeping aggressive fish. If you see one of your fish chasing another fish around the tank, it is an obvious sign of aggression but not all signs of aggression are quite so obvious. In most cases, fights among aquarium fish happen when you are not looking – you just discover the damage after the fight is over. This being the case, you may need to look for signs of fighting rather than watching for the actual signs of aggression. 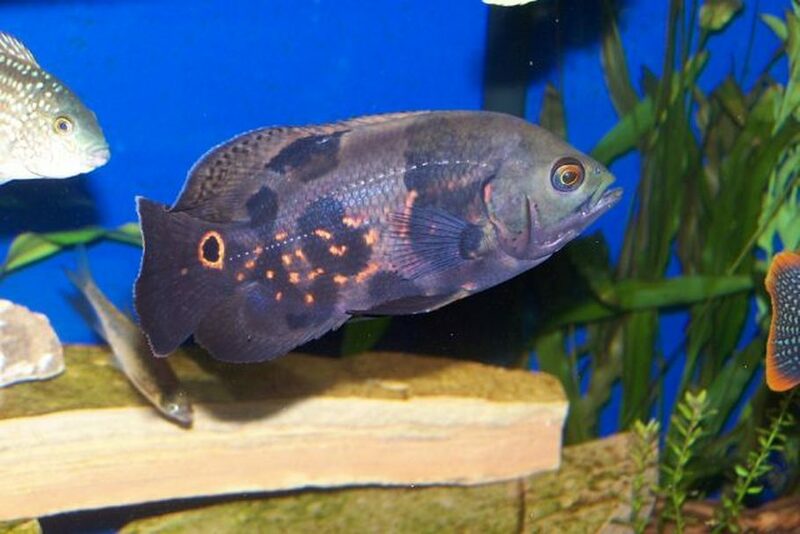 Things like split fins, changes in behavior among your fish, changes in territory, scratches and scrapes, missing scales, and obvious wounds are all signs of fighting. In addition to learning to identify the signs of aggression in aquarium fish, you should also know what triggers cause aquarium fish to act aggressively. 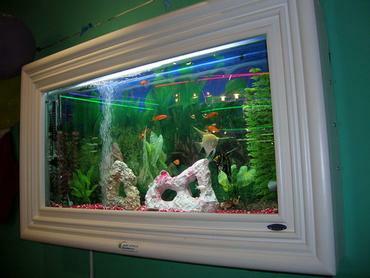 The most common causes of fights among aquarium fish are food, mates, and territory. Territory is the biggest problem when it comes to aquarium fish aggression, especially if you have stocked your tank with very large fish. In most cases, aggressive aquarium fish will establish their territory around some kind of hiding place like a rock cave or a piece of driftwood – they guard their territory fiercely and punish any fish that comes too close. Aside from territory battles, aquarium fish aggression is also frequently caused by a fight for resources – this includes both food and mates. Female fish do not tend to be as aggressive about fighting for mates (that is the male’s job) but they can become extremely protective and territorial when it comes to guarding their eggs or fry. Male fish will sometimes fight to the death over a female, especially if there is more than one male of the same species in the tank and not enough females to go around. 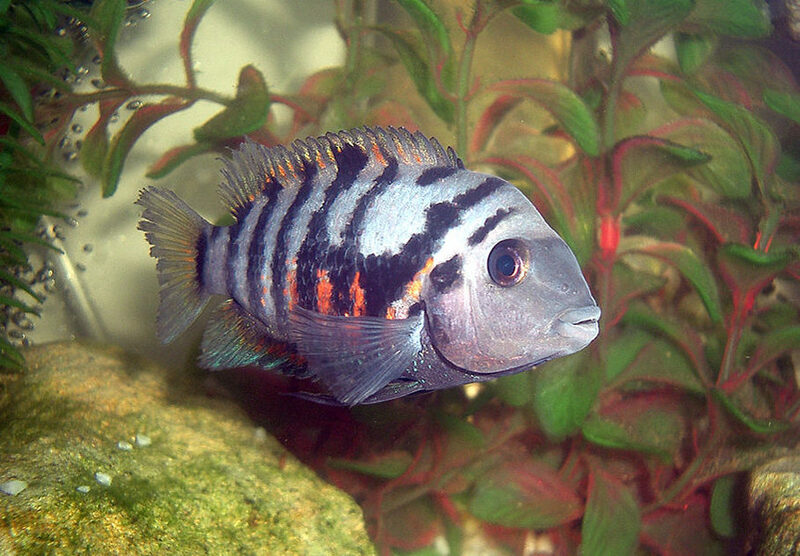 Male fish will also sometimes fish males of other species, especially if they have similar coloring or patterns. 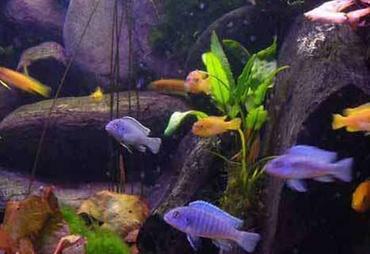 When it comes to decorating an aquarium for large and aggressive species there are several key things you need to incorporate. You need to include plenty of rocks and driftwood to provide individual territories as well as some plants and other decorations to break up sightlines. When choosing rockwork for your tank, keep in mind that jagged edges and rough materials can cause serious injury to your fish if they run into it while being chased by another fish. Smooth rocks, like river rocks, are generally the best choice for rockwork and you can also incorporate pieces of driftwood. Use these pieces smartly to not only incorporate territories into your tank, but to increase its aesthetic appeal as well. In addition to thinking about what kind of rockwork and driftwood you want to use in your tank, you also need to think carefully about whether you are going to use life plants or not. Live plants can give your tank a pleasing natural appearance and they can help to oxygenate your tank water, but they are not always the best choice for a large tank housing aggressive species. 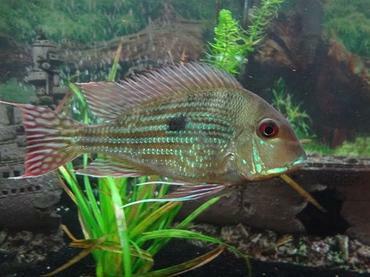 Large fish can easily uproot aquarium plants, damaging the roots, or they can eat them. Either way, you need to think carefully before adding live plants to your tank. Your best bet might be to purchase high-quality synthetic plants that look real but will stand up to some rough handling. When arranging the design elements in your tank you need to be conscious about creating separate territories while also providing extra hiding places for the other fish in your tank. Clay pots, rockwork caves, pieces of driftwood, and other decorations can be arranged in ways to create hiding places. If you are trying to build specific territories I your tank, be sure to include a hiding place (like a cave or clay pot) with some smaller rocks scattered about and some synthetic plants to provide cover. Be sure to include at least one territory per male in your tank – the females will generally swim freely between the territories as they like. If you find that the arrangement of territories in your tank isn’t working, you can always rearrange them for better results. Aside from thoughtfully aquascaping your aquarium to minimize aggression between your fish, there are also a few simple things you can do to keep the peace. 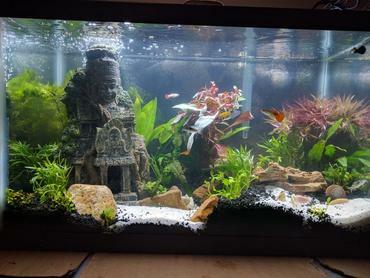 For one thing, avoid lining your tank with a substrate bed that is too deep – about 1 to 2 inches is perfect. This may not seem like an adequate depth but you will find that when it comes time to vacuum your gravel during routine water changes that it is much easier to get up all the accumulated waste and debris from a 2-inch gravel bed than from a 4-inch bed. This tip goes hand-in-hand with a recommendation to change your tank water frequently. Many aggressive fish are also very large which means that they produce a significant amount of waste. That waste (along with uneaten fish food) accumulates in the bottom of your tank where it begins to decompose, producing toxic ammonia. Weekly water changes are essential to remove that accumulated debris (and the toxins) to keep the water quality in your tank high. Clean water means happy fish which means fewer problems with aggression. 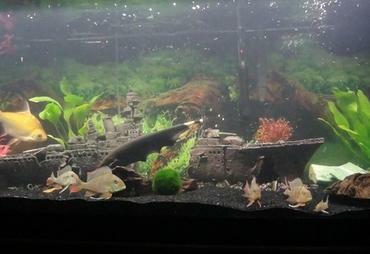 Maintaining peace and harmony in a tank full of aggressive fish is by no means an easy task. It will take some time and a lot of trial and error to find an aquascaping arrangement that works for all of your fish. 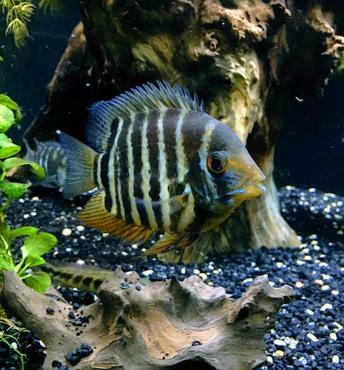 Just be sure to keep a close watch on things as your fish are getting acclimated to the tank and don’t be afraid to rearrange things a little if you think of a solution that will work better. And don’t forget to keep your tank clean and your water quality high – these things will help to reduce stress and tension in your tank which will also help to reduce aggression. Stop chasing your fish around the tank with a net and learn the right and wrong way to catch aquarium fish! There is nothing more beautiful than a thriving saltwater tank, but these tanks can be expensive to set up and maintain. 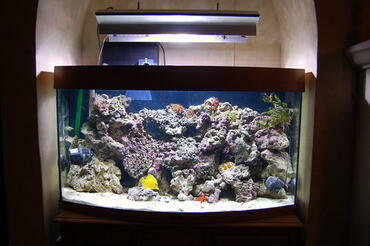 Starting a new tank can be time-consuming, especially if you have to choose all of your own equipment. Do You Know What You Are Feeding Your Fish? Not all aquarium fish food is created equal. When you see signs of stress in your fish, you can then take steps to identify the source of that stress and then to resolve it before it becomes a major issue. 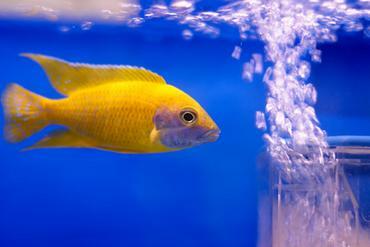 Keeping your tank clean is about more than just aesthetics - it also affects your fish. 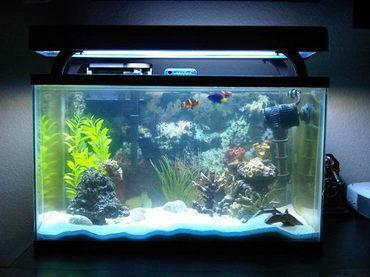 Keeping your aquarium clean doesn't have to be a chore with these simple aquarium cleaning "hacks". 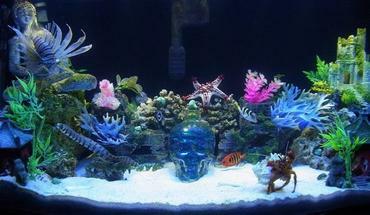 Why buy Aquarium Supplies online? Focuse on fish keeping for pleasure as opposed to keeping fish around as a food source. 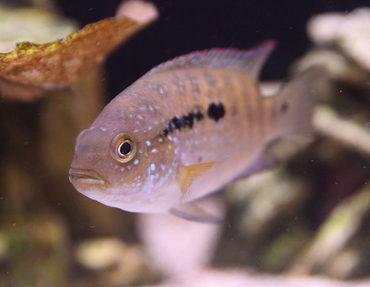 Learn three common problems every aquarist can avoid. 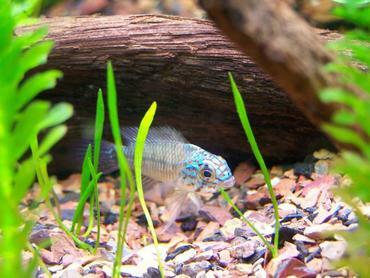 The nitrogen cycle is essential for keeping your tank healthy but it can also be very stressful for your fish! A power outage may only be a minor inconvenience for you but, for your aquarium fish, it can be deadly. An automatic fish feeder can be a great tool if you have to go out of town or want to regulate your feeding schedule for fish. 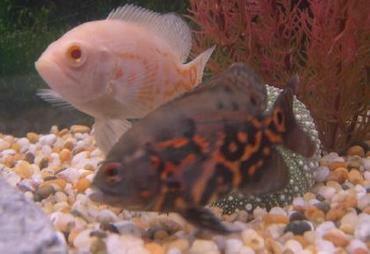 Aquarium Fish Medications - Do or Don't? 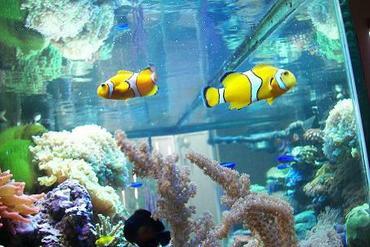 Learn about how aquarium fish medications work and what diseases they may be used for.